We are offering this bouquet with 5 stems not the 7 shown. 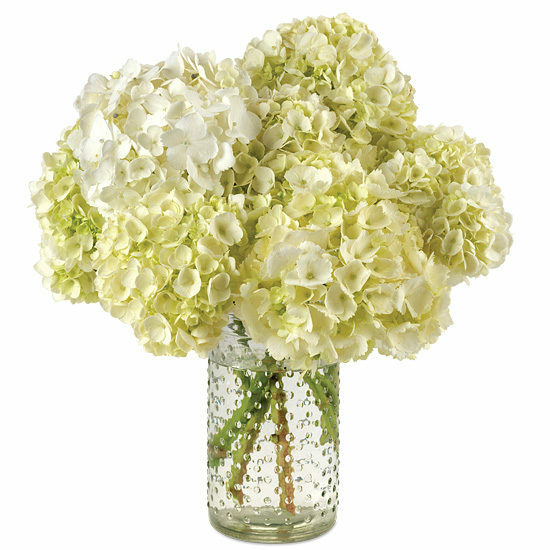 With big, billowy blooms that will last up to two weeks, it’s no wonder hydrangeas are said to symbolize perseverance. 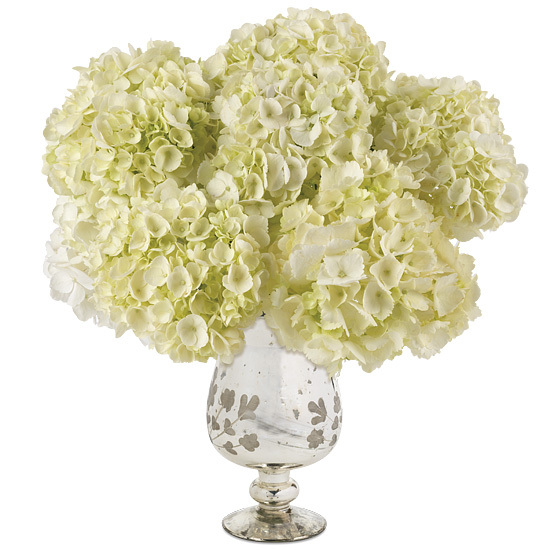 An especially fitting gift for Hanukkah, the new year, or just to make someone smile, this bouquet is an impressive ensemble of five hydrangeas that come together to form a mass of creamy white petals atop our silver etched mercury glass vase. Indeed a holiday masterpiece that shows off the vintage beauty of these flowers. Remove all foliage that will fall below the water line. Trim 1/2″ from the bottom of each stem, making a diagonal cut to the recommended display height of your vase. Some varieties of flowers like hydrangea may look a bit tired upon arrival. Don’t despair! They’re healthy – just thirsty… submerge the blooms completely in cool water for approximately an hour, they will rehydrate and perk up within 24 hours. Surprisingly, hydrangeas may demonstrate an almost unquenchable thirst. IMPORTANT! Always add fresh water daily. To create a tight cluster of hydrangeas you may try to wrap the stems with a rubber band or twist tie near the top of the bouquet.